On Thursday, Sept. 24, Times Square, the Crossroads of the World, will add one more “first” to its illustrious history as it is transformed into a world-class venue for the U.S. National Synchronized Swimming Team. Sponsored by Epson, “Swimming In Ink” will feature a series of never-before-seen, high-energy synchronized swim routines by the U.S. National Synchronized Swimming Team in a massive, see-through tank of cyan, magenta, and yellow “ink.” The tank – one of the largest ever constructed in Times Square – serves as a dramatic showcase of the new line of Epson EcoTank™ printers that come loaded and ready with up to two years of ink1. 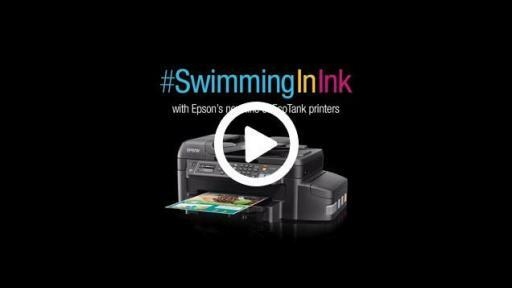 In conjunction with the “Swimming In Ink” event, Staples will also provide “Print All you Want” days2 on Epson EcoTank printers in 16 stores across the New York Metropolitan Area on Sept. 23-25. The Epson EcoTank “Swimming In Ink” Times Square event will feature hourly performances on Thursday, Sept. 24, beginning at approximately 9 a.m. and concluding at approximately 6 p.m. Each performance will feature members of the U.S. National Synchronized Swimming Team. In addition, the newly named 2016 Olympic Synchronized Swimming Duet will be in attendance. “Swimming In Ink” will be held in Duffy Square located in the North end of Times Square, between 46th and 47th Streets, and Broadway and Seventh Avenue, adjacent to the TKTS reduced-price theater tickets booth. And while the team won’t actually be swimming in ink, throughout the day, attendees will be able to watch live performances directly, or on billboards in Times Square. U.S. National Synchronized Swimming Team athletes will also be available for autographs and photos with attendees. In addition, performances will stream live all day at epson.com/SwimmingInInk. The U.S. National Synchronized Swimming Team will perform original routines choreographed by Stephan Miermont, who is internationally renowned and owner of Aquartist, a water show production company. 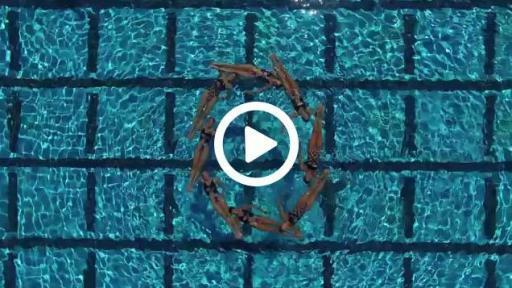 Miermont is currently the choreographer of the U.S. National Synchronized Swimming Team. He held the same position for the 2008 USA Olympic Synchronized Swim Team, and has choreographed, performed in and directed many large-scale water performances including O, Cirque du Soleil, Las Vegas, and the Dragone Production’s Aphrodite tour. The team is coached by Myriam Glez, Lolli Montico and Tammy McGregor. Original music for “Swimming In Ink” has been scored and produced by Miermont and Sam Jacobson. 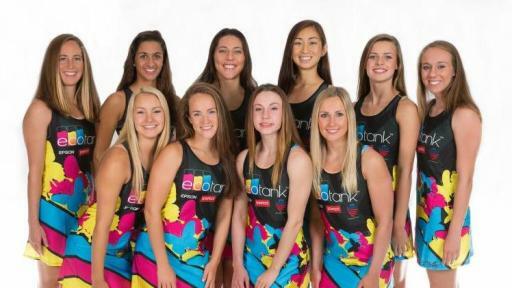 During their performances, the U.S. National Synchronized Swimming Team will wear original swimsuits designed for “Swimming In Ink” by Triflare, the official competition apparel sponsor of USA Synchro. The Triflare original designs were printed using Epson® SureColor® F-Series dye-sublimation printing technology. The Epson EcoTank portfolio consists of five all-in-one color printers featuring large ink reservoirs – what Epson defines as the Supertank category – that come loaded and ready with up to two years of ink1. 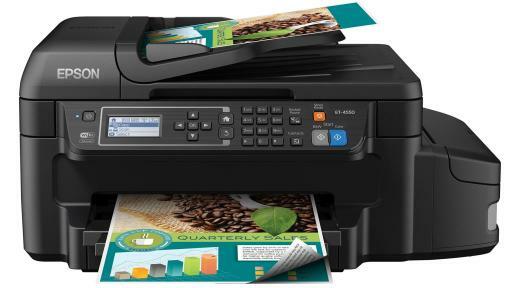 EcoTank color printers combine the high-quality output Epson is known for with dramatic in-box cost savings and ultra-low cost replacement inks. In addition, EcoTank printers eliminate the common frustration of having to replace ink cartridges at inevitably the most inopportune time. Fewer ink refills also means less waste. When comparing EcoTank to a traditional printer, the ink included with the EcoTank is equivalent to about 20 sets of ink cartridges3, depending on the model. 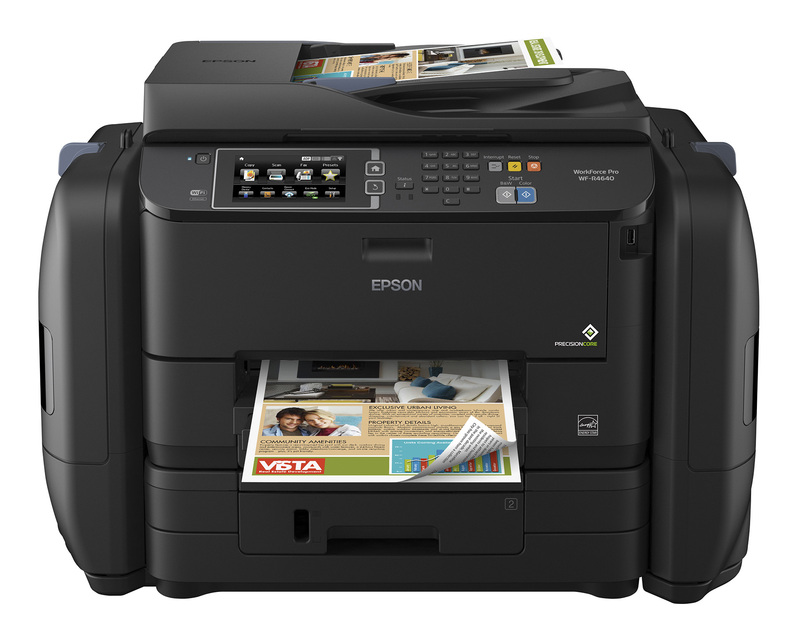 Epson EcoTank printers are now available at Staples and through other major computer, office and electronic superstores, e-tailers and mail order companies including Best Buy, Office Depot, Amazon, Microcenter, and epsonstore.com. For more information and availability, please visit epson.com/ecotank. Adding to the excitement surrounding “Swimming In Ink,” Staples will be hosting EcoTank “Print All You Want” days on Sept. 23, 24, and 25 in 16 of its New York City stores. Business people, students and other professionals are welcome to bring electronic files into any of the participating Staples on any USB-based removable media, and print documents up to 100 pages and up to 10 4”x6” photos for free, while you wait. On Sept. 24, a list of the participating stores can be found at the following link: staples.com/EcoTank. Recognized by the International Olympic Committee (IOC), USA Synchro is a nonprofit organization that serves as the U.S. national governing body for the sport of synchronized swimming and organizes, participates in, and promotes a variety of competitive events each year. U.S. Synchronized Swimming’s funding comes from a variety of sources including membership fees, the U.S. Olympic Committee, corporate sponsorship, and private and public donations. The National Office of USA Synchro is relocating to Colorado Springs, Colo. before the end of 2015. Learn more at USASynchro.org. Epson is a global technology leader dedicated to driving innovations and exceeding customer expectations in printing, visual communications, quality of life and manufacturing. Epson’s lineup ranges from inkjet printers, printing systems and 3LCD projectors to industrial robots, smart glasses and sensing systems and is based on original compact, energy-saving, and high-precision technologies. Led by the Japan-based Seiko Epson Corporation, the Epson Group comprises nearly 70,000 employees in 94 companies around the world, and is proud of its contributions to the communities in which it operates and its ongoing efforts to reduce environmental burdens. Epson America, Inc. based in Long Beach, Calif. is Epson’s regional headquarters for the U.S., Canada, and Latin America. 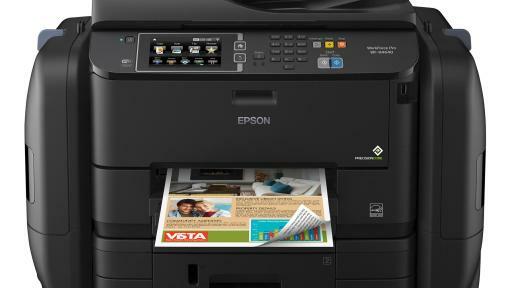 To learn more about Epson, please visit: www.epson.com. You may also connect with Epson America on Facebook (http://www.facebook.com/Epson), Twitter (http://twitter.com/EpsonAmerica) and YouTube (http://www.youtube.com/EpsonAmerica). 1 Based on average monthly print volumes of about 150 pages (ET-2500, ET-2550, ET-4500), 300 pages (ET-4550), and 800 pages (WF-R4640). 2 See in-store displays for promotion rules and limitations. 3 About 20 cartridge sets estimate based on print yields of the included black and color ink bottles as compared to standard-capacity ink cartridge sets for similarly-featured cartridge printers as of March 2015. Specifications and terms are subject to change without notice. Epson and SureColor are registered trademarks, EPSON Exceed Your Vision is a registered logo mark and ECOTANK is a trademark of Seiko Epson Corporation. All other product and brand names are trademarks and/or registered trademarks of their respective companies. Epson disclaims any and all rights in these marks. Duane Brozek, Epson America, Inc.